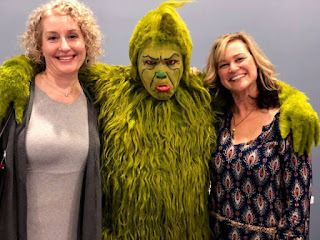 A few of our bloggers recently visited Children's Theatre Company for the holiday favorite HOW THE GRINCH STOLE CHRISTMAS, and some of us even met him! Click the links below to read about it, and look closely for a special 20% discount ticket offer! Pictured: Jill from Cherry and Spoon, the Grinch, and Tracy from Soul Photography & Media.